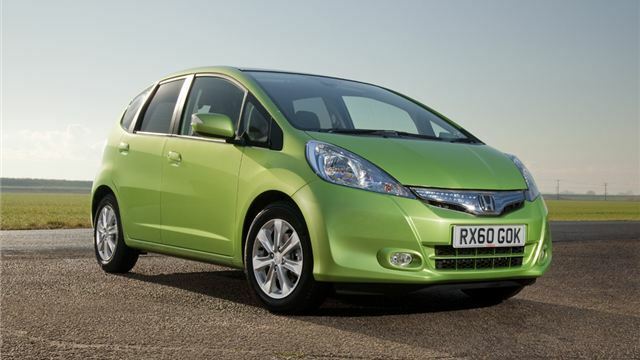 The Japanese version of the next generation Honda Jazz – called Fit in its home market – will be fitted with a collision-mitigating braking system called ‘City-Brake Active’ when it goes on sale in Asia in late 2013. The system is designed to prevent or minimise impacts at low speeds. It works at up to around 18mph and detects vehicles in front by laser radar. If it identifies an imminent collision it will alert the driver with an audio and visual warning, and if the driver takes no action it will automatically apply the brakes. Similar systems are already in production from other manufacturers, but Honda has an additional feature designed to protect against unintended acceleration. If the car detects a sudden, heavy application of the throttle and there is another vehicle in front and within approximately four metres it will play an audio and visual warning while restricting engine output, preventing the car from surging forward. It’s been designed to reduce the chance of collision if a driver accidentally hits the throttle instead of the brake in error. The technology is confirmed for production and will be introduced in Japan in late 2013 on the all-new Fit, which will eventually go on sale in the UK as the next generation Honda Jazz – although Honda hasn’t confirmed whether or not the City-Brake Active system will be offered on UK cars.